There is a cost to yes. When we found love, we say we are blessed. When our wallets are padded, we say we are blessed. When doors open, we say we are favored. When our friends are at peace with us and our enemies are silent, we say we have His peace. When we throw up our minute prayer and He answers, we say He hears us. When everything is as it should be we feel His presence and we declare His glory with our lips. But, what about when love leaves us and we are broken? What if the wallet is slim and the bills are piling up and the car just broke down? What if our friends turn on us and our enemies mock us? What if we cannot even find the strength to throw up a prayer? What if everything is not as we feel it should be? Will we still say we are blessed and favored? Is He still God even then? What if the furnace you are in is not because the world hates you? What if He placed you in the furnace? Will you still love Him? Will you trust Him? Can you stand in the heat of the furnace and still believe He will “rescue you”, even when you feel the flames and you cannot feel Him beside you? What if His rescue doesn’t come immediately? The road to Golgotha is paved in blood, sweat, and tears. The cross is heavy. Can you carry your cross? Will you crumble under the weight of it? Holiness does not equate happiness. Joy is not always without tears. Oh, but can you believe and cling to the peace that will pass all of your understanding and not trust your eyes, but walk by faith, one step at a time? When you say yes to God, you are saying yes to His purpose, His will. You are trusting Him to take you from here to there and He is the map maker. You will not always understand, but can you still say yes even when…? He will not leave you where you are or in the condition you are in. No! He will take you and mold you into the purpose He has called you to be from the foundation of the earth. 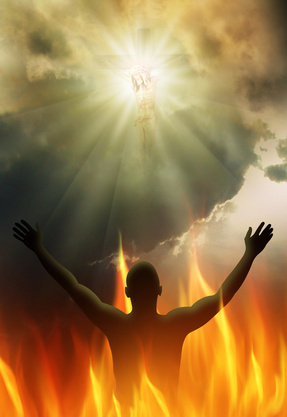 It is in the fire, where all that is not of Him, will be burned away. Stay there, do not fight it, trust Him. You will come forth as gold. You are more precious to Him than diamonds, and diamonds do not become diamonds without the pressure. Say yes! Give Him your dreams and your hopes. Say yes! Even when all others forsake you. Say yes! Even if you have to walk alone. Say yes! Even when your pillow is wet from your tears. Say yes! Even when you have been betrayed by the one you loved. Say yes! Even when the bills are piling up. Here is the test, can you say yes without compromise? Can He trust you? When you cry out, “Why, Lord, why? !” Know the answer is in the transformation, you are being conformed into His image, because when this has passed, people will no longer see you, they will see Him. And isn’t that what you want? Isn’t that what you said yes to?